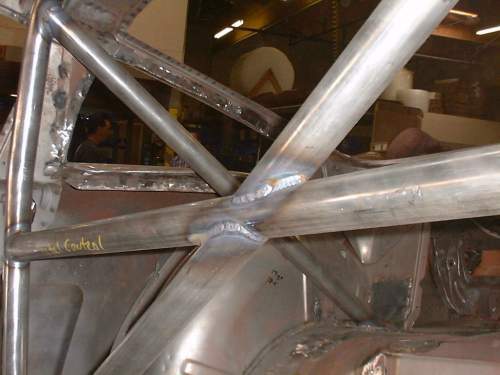 The most important safety feature, with the exception of brakes and a good seat belt, is the roll cage. In this case too much is better than not enough. Each of the six mounting points of the cage has been reinforced with a steel plate to help distribute the force over a wider area. This will prevent the tubes from punching through the body in the event of an accident, "knock on wood". 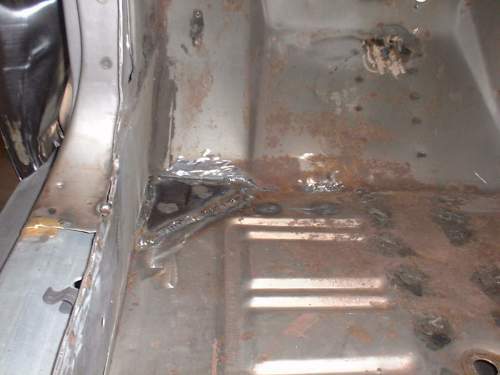 The mounting locations on the front floor pans are also supported by an additional brace from underneath. 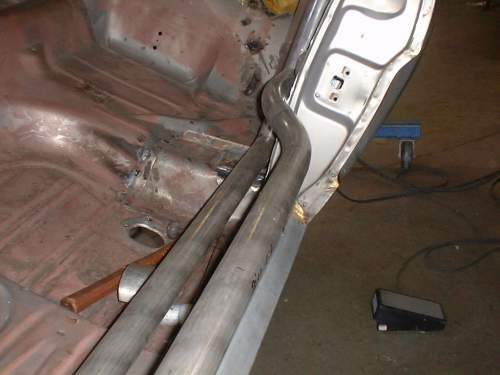 To give us more leg room, the side bars have been bent to extend into the doors. 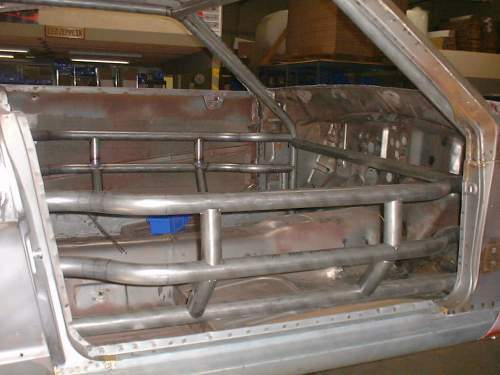 Vertical and diagonal braces were added throughout the cage to increase its structural strength and overall safety.